ORL testing measures the backreflection of connectors and components in high-speed digital and analog system applications. Optical Return Loss Measurements can be provided as per you requirements. Chromatic dispersion can lead to loss of data due to broadening of the light pulse on the receiving end of the transmission. Cd testing is completed throughout the C and L Bands. Bayley Communications Ltd can provide a whole team of engineers ensuring that important live changeovers go ahead with minimal disruption to the network. Our highly skilled professional fibre optic cable installers can provide the customer with a bespoke network that is future proof and to any specification. Our experienced staff have many years experience working on various networks new or old and will be able to survey and log detailed reports regarding capacity. Bayley Communications Ltd can design a bespoke network alongside the customer and our fibre optic cable installers / engineers will offer expert advise and utilise extensive stores to cut costs down to a minimum. Bayley Communications Fibre Optic Cable Installers have been working side by side with the M.O.D developing heat and vibration sensing fibre and is at the forefront of cutting edge technology. Bayley Communications engineers and fibre optic cable installers will install any of your telecom needs including fibre optic splicing and fusion splicing. Our fibre optic cable installers / engineers have worked on a number of high profile FTTH projects across the U.K.
Fusion Splicing is where two optical fibers are join at their ends using a heat process. The process is a very complicated procedure that requires skilled fibre optic engineers as the two fibres need to be joined in such a way that light can still pass through perfectly. If the fibres are not joined correctly it could cause the light to be scattered or reflected. A perfect splice should be almost identical to the original fibre optic cable. A tool called an electric arc is used for the heat required but the splice can also be completed using a gas flame or laser. Precise heat is required when fusion splicing after the fibre ends have been prepared for the fusion process. All protective coverings must first be removed from the fiber ends. The fibre is then cleaved to produce a completely flat fibre and checked under a microscope for any defects. Otdr Testing is carried out with Tri Band test equipment and based on your own requirements can be either Uni or Bi-directional. The Tri Band testing covers the O, C and L Bands. The Optical Time Domain Reflectometer is a powerful fibre optic test instrument in that it acts like an optical radar in locating sources of error with the fibre system. The OTDR yields a plot, or trace, indicating the loss versus distance. 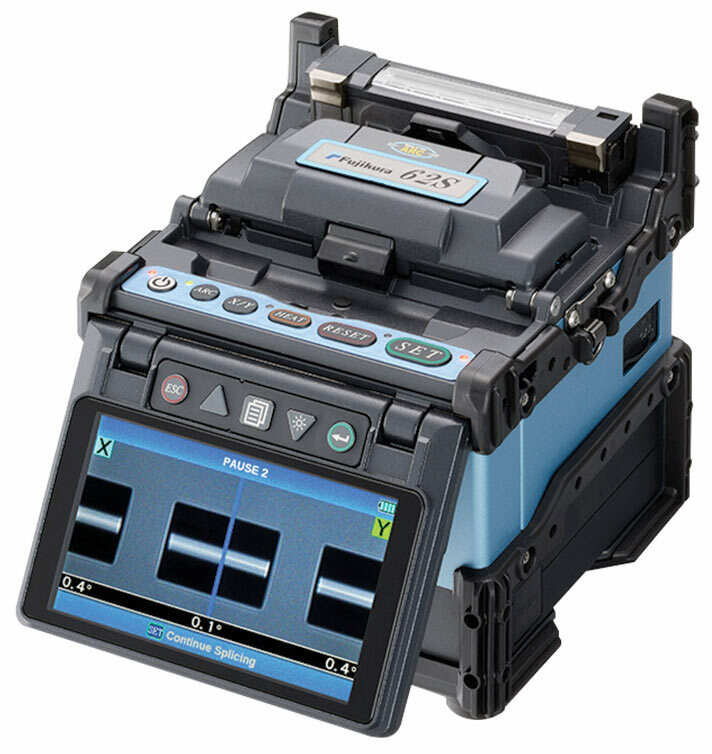 This information allows events in the optical fibre system such as fibre splices and connections to be located and their loss measured. 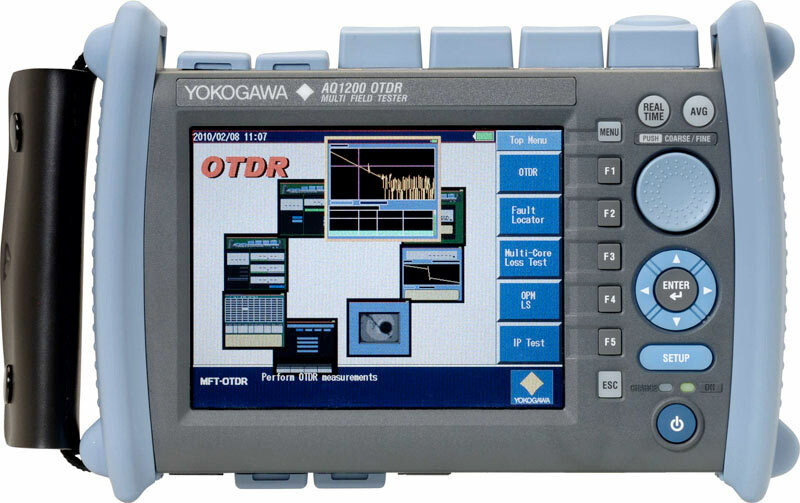 The OTDR is a complex instrument and so detailed interpretation of an OTDR trace is a job for an experienced or expert fibre tester. 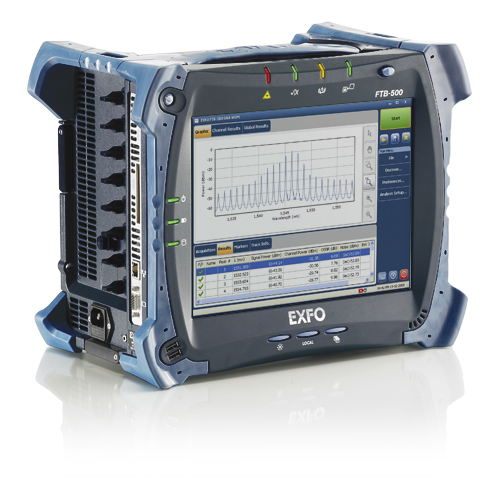 The OTDR is not the reference test method for fibre attenuation, this being an ILM technique, and indeed the OTDR has some short-comings as an accurate loss measurement instrument. Where the OTDR does dominate is in the spatial information it provides on any fibres with high attenuation, or any poor quality splicing. 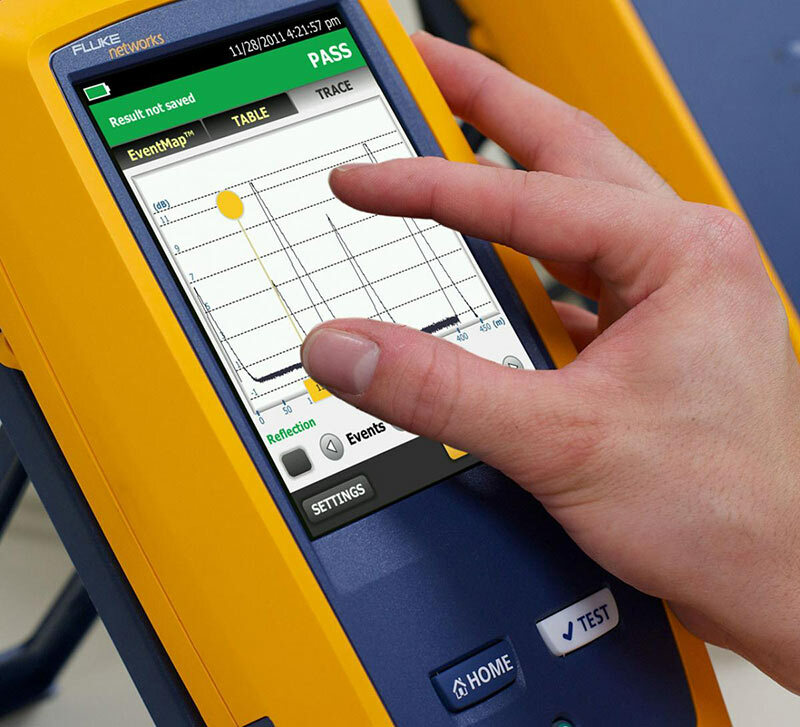 The other advantage of the OTDR technique is that the stored trace shows exactly how the measurement was conducted, something the ILM technique does not provide, and this allows an expert OTDR trace analyser to know something of the quality of the measurement results provided. PMD testing: the field measurement of PMD is an important measurement for single-mode telecommunications systems since the PMD can change with cabling and installation. This is a strange parameter in that it’s behaviour is not regular, or deterministic, and hence the analysis of PMD is statistical. This advanced instrument yields a plot, or interferogram and from this data calculates the fibre PMD. Many people have said that the PMD measurement plot is meaningless or useless, and yet both statements are often false. Expert testers know the value of recognising various features on a PMD plot when they occur, and can advise their clients accordingly. Bayley Communications Ltd design, supply and install fibre optic cabling installations for all customer requirements from small business installs to 100km trunk routes for major networks. Insertion Loss Measurement: this is a measurement of the loss, or attenuation, of a fibre optic cable component or system. This is normally measured with a light source and an optical power meter, or alternatively a loss test set that incorporates both a light source and power meter. The principle is to find the difference between the input and output power levels to yield the loss between these two measurement points. This sounds straightforward, and yet whilst ILM testing can be easy, there are also many mistakes that can be made and result in variable measurements and plain incorrect measurements. Some of the errors that can occur in ILM measurement methods are obvious, whilst other are more obscure and not widely known by testers who have not been trained by fibre optics testing experts. Bayley Communications Verify your fibre optic link, covering the O, C and L Bands using Tri Band Power Meter and Light Sources, Bi-directional insertion loss measurements are taken. Fibre cables are installed in the duct, they will need to either be spliced together to make one concatenated link, or terminated to allow equipment or patch cables to be plugged into the ends. Fibre splicing is normally achieved by stripping a section of coating of the end of the fibre, cleaving the fibre to produce a flat end face, and putting the fibre into a fusion splicing machine. The same procedure is repeated for the other fibre end, and the fusion splicing process then heats both fibre ends and pushes them together. The welded, or spliced, fibre join is then protected with a heat shrink splice protection sleeve. Here at Bayley Communications Ltd we use the latest fusion splicers on the market which means our investment in the best tools and equipment ensures all our work is carried out with the highest efficiency and accuracy.